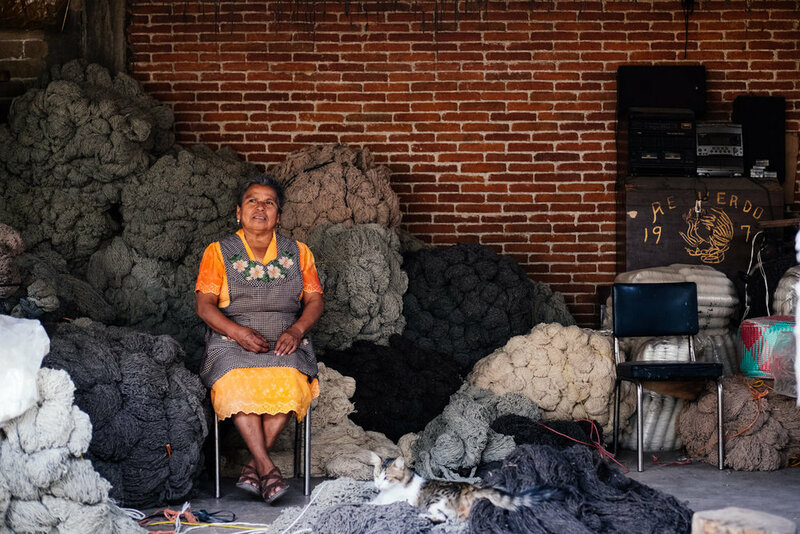 Magdalena is one of the few commercial dyers of wool yarn in the weaving village of Teotitlan de Valle where there is currently a shortage of raw wool to dye. Magdalena explains that she has be waiting on wool from Mexico City for the last month. Surprisingly she doesn’t seem too concerned, which leads me to believe that it’s less about the rise in tourism and overseas production and rather just one of those situations that everyone who spends long enough in Mexico comes across once or twice. Magdalena learnt the art of weaving when she was eight years old and later the art of dying when she was twelve. These skills are embedded in her bones and it shows with her quiet confidence. The shop is like a candy store for lovers of textiles. Bundles of wool yarn hang from the walls in every colour imaginable. 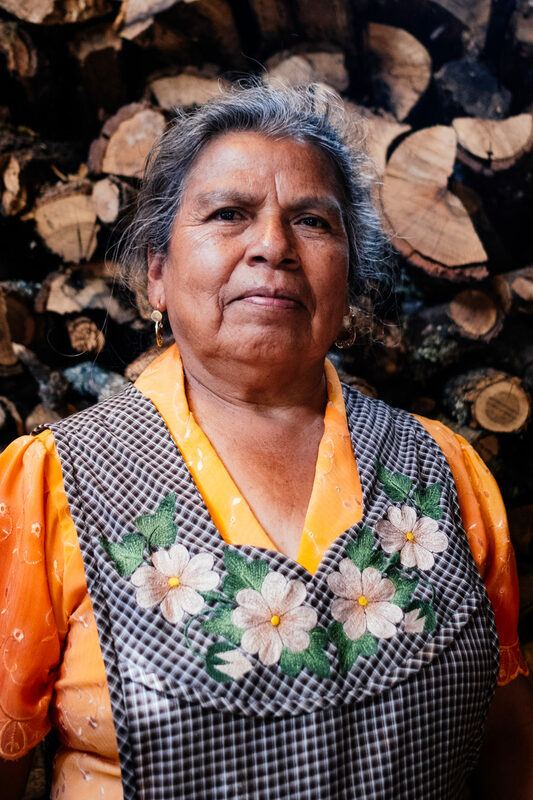 The shop is a family affair run by Magdalena and her husband with the help of their son and one employee Juana (pictured). Like most of the population of Teotitlan they come from a long long long lineage of dyers and weavers. When we asked her how far back the traditional went in her family, her cheeky smile appeared as she chuckled, “as far back as it goes”. Magdalena’s tells us proudly that her husband’s father, Marcel Barzan, toured around England and produced a rug for the royal family. His portrait now hangs proudly in the town museum. Magdalena seems to enjoy having her portrait taken which is rare here as people are not accustomed to photos. She proudly beams when we question her about her craft, and her heritage. Now the question you’ve all been dying (no pun intended) to know : what is her favourite colour to dye? Blue she tells us. Bright blue.